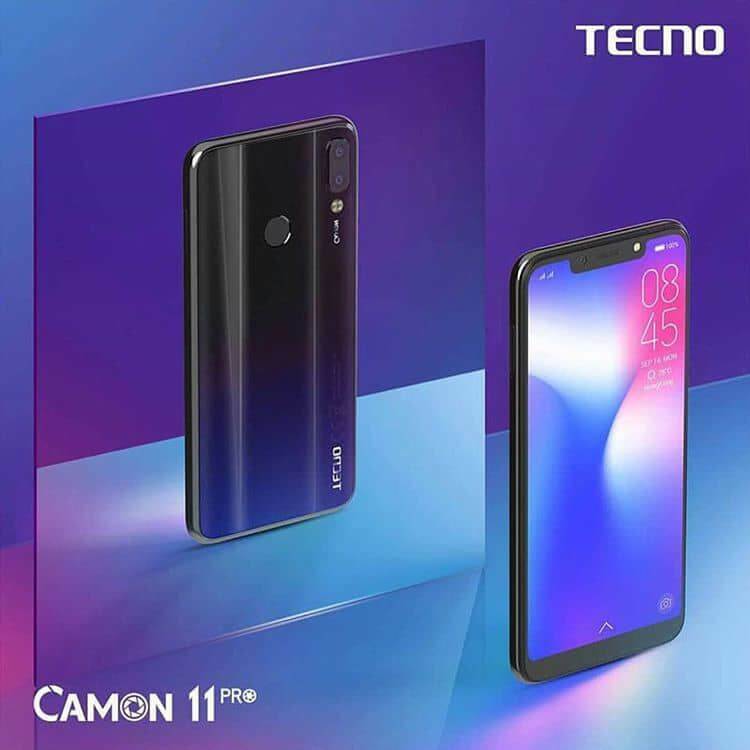 The Tecno camon 11 pro is the upgraded version or better still the elder brother of the Tecno camon 11. 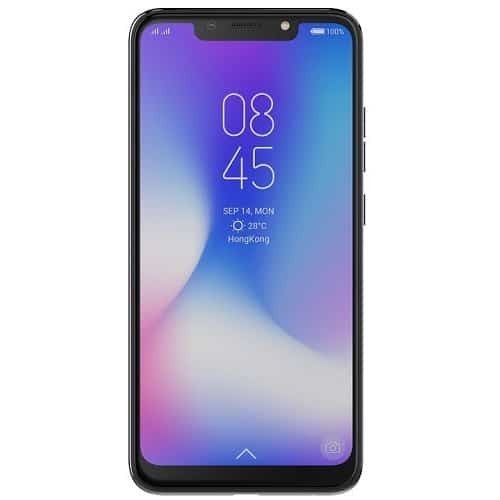 The Tecno camon 11 pro was released at exactly the same day the Tecno camon 11 way launched. The Tecno camon 11 pro comes with some mind blowing features that would make you wonder if it is a Tecno phone but the truth is, it really is. 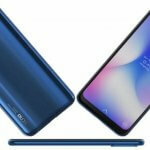 The Tecno camon 11 pro currently ranks among the best android phones in Nigeria. This because the Tecno camon 11 pro bags some stunning features that makes it sit at that spot. In fact, the launch of the Tecno camon 11 pro did surprise so many of us in Nigeria. I think we kind of saw a thing like this coming but we weren’t expecting it to be this big. In Nigeria, the Tecno Camon 11 pro price starts at 77,000 naira. It is available in nebula black. The Tecno camon 11 pro is comes with a design that looks very 2018 in Nigeria. One can easily get attracted to the design feature of this phone at first sight. In front of the Tecno camon 11 pro is a 6.2 inch HD+ display with a notch at the top. The display occupies about 90% of the front, on the notch is where the AI selfie camera, LED flash, face id sensor and earpiece sits. At the back of the Tecno camon 11 pro is a top-left positioned dual rear camera with quad LED flashlight. There is also a fingerprint reader that is slightly positioned slightly above the center. On the left edge of the Tecno camon 11 pro is the power/lock button and volume button, the sim tray is located on the right while the USB port, speaker grill and 3.5 mm headphone jack are placed at the bottom. The Tecno camon 11 pro has a display that is rich, vivid, clear and bright. The Tecno camon 11 pro comes with a 6.2inch HD+ display that is well equipped to carter for gaming, movie watching and general media consumption in Nigeria. The 6.2 inch HD+ display is surrounded by tiny bezels with a notch at the top. The display boost a 500nit brightness, 87.5% screen to body ratio, 19:9 aspect ratio and maintains a resolution of up to 1500 x 720 pixel. The Tecno camon 11 pro boost a 3750mAh non-removeable battery that is just sufficient to power the phone even though many were expecting to see up to 4000mAh battery in Nigeria. The 3750mAh battery capacity on the Tecno camon 11 pro is however not disappointing, with the new HIOS 4.1 UI and 8.0 Oreo on board, there is going to be lots of efficiency on power consumption. 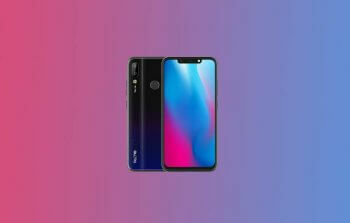 Tecno mobile, knowing very well that the camera on a smartphone is very important to her major users in Nigeria did produce a camera that is distinctive. In fact, the camera on the Tecno camon 11 pro is on a league of her own. It now has Artificial Intelligence (AI), so you don’t have to worry about selecting the camera mode that will suite a particular scene, AI will do that for you. 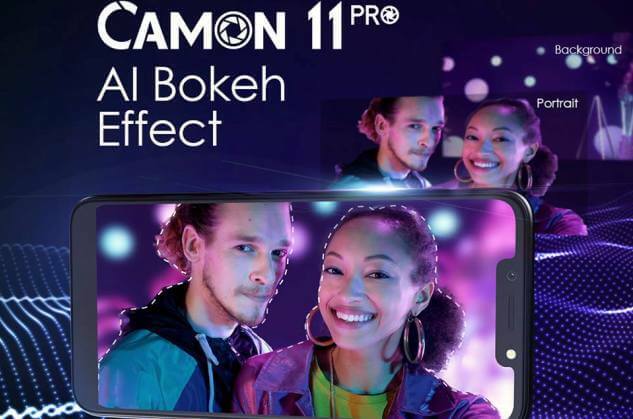 What’s on the camera of the Tecno camon 11 pro? In front is a 24MP AI clear selfie camera with adjustable flashlight. At the rear are two new dual 16MP 5MP camera working together to produce photo shots with vivid, clear, sharp and excellent quality even in low light conditions. Talking about software, the Tecno camon 11 pro has the latest software. It comes with Tecno’s new pre installed HIOS 4.1 UI that is based on Android 8.1 Oreo. The new HIOS 4.1 UI has better functionality especially with the fingerprint. The Tecno camon 11 pro is also well equipped with numbers. It comes with 6GB RAM and 64GB ROM, it also runs on 2.0GHz quad-core processor and has an electronic compass. 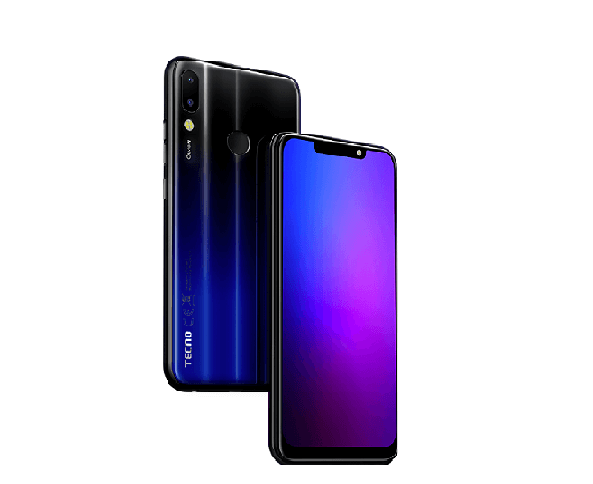 The Tecno camon 11 pro comes with other stunning features like fingerprint scanner and face ID. The security level of face ID on the Tecno camon 11 pro is better now, it now boost up a recognition rate of up to 5ooms. Also on the Tecno camon 11 pro is a new virtual feature called AR emoji. Though AR emoji may look strange to some Tecno fans in Nigeria but trust me, you will enjoy it. So tell me, what is AR emoji all about? With AR emoji, you can combine human expression with 3D virtual expression using AR technology to produce cartoon images that can be used for live messages during social chats. Its the perfect timing for a new Tecno release and I believe it will afford users better options in decision making.